Six yearling fillies by nine times Champion sire GALILEO are amongst 918 lots catalogued for the forthcoming Tattersalls July Sale which takes place July 11th - 13th. The catalogue for Europe’s premier midsummer sale can now be viewed online at www.tattersalls.com and will be available from Tattersalls and Tattersalls overseas representatives from Monday 18th June. The 918 lots comprise 775 horses and fillies in/out of training, 137 broodmares, 11 of which have foals at foot, as well as the six GALILEO yearling fillies and the three day sale features high quality consignments from many of the world’s leading owner/breeders including Godolphin, Juddmonte Farms and Shadwell Estates. Numerically the largest consignment comes from The Castlebridge Consignment which fields an impressive team of 86 including the six regally bred GALILEO yearling fillies, as well as the equally enticing five year old Group 1 winner CLOTH OF CLOUD who is in foal to GALILEO. The outstanding sextet of GALILEO yearling fillies includes the February born half sister to Group 2 Lowther Stakes winner BESHARAH and the second foals out of the Australian Group 1 winners NECHITA and SEA SIREN. 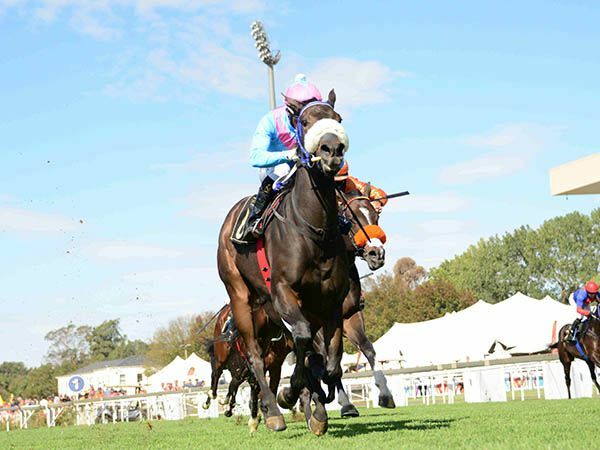 CLOTH OF CLOUD, by top South African sire CAPTAIN AL, was 2016 Champion two year old filly in South Africa and is a half sister to another Group 1 winning filly SILVER MOUNTAIN from the top American family of Santa Anita and Hollywood Oaks winner HIDDEN LIGHT and Breeders’ Cup Mile winner ARTIE SCHILLER. Other eye-catching mares in foal from the Castlebridge Caonsignment include the five year old Group 3 winner CZABO in foal to LOPE DE VEGA, CATCHMENT, the winning OASIS DREAM own sister to Khaled Abdullah’s very promising Listed winning three year old IMAGING, in foal to Group 1 winner PROFITABLE, NOVEL CONCEPT, a FASTNET ROCK half sister to Group 1 winning sprinter GILT EDGE GIRL, in foal to FOOTSTEPSINTHESAND and SEND UP, a winning daughter of FASTNET ROCK from the family of PILSUDSKI and YOUMZAIN, in foal to CARAVAGGIO. Top owner/breeders Godolphin, Juddmonte and Shadwell Estates have 133 lots catalogued between them, while the 137 broodmares include mares in foal to proven Group 1 sires ACCLAMATION, CAMACHO, CHAMPS ELYSEES, FAST COMPANY, FOOTSTEPSINTHESAND, GALILEO, HELMET, LAWMAN, LOPE DE VEGA, MASTERCRAFTSMAN, NEW APPROACH, OASIS DREAM, PIVOTAL, SHOWCASING, SIR PERCY and STARSPANGLEDBANNER. 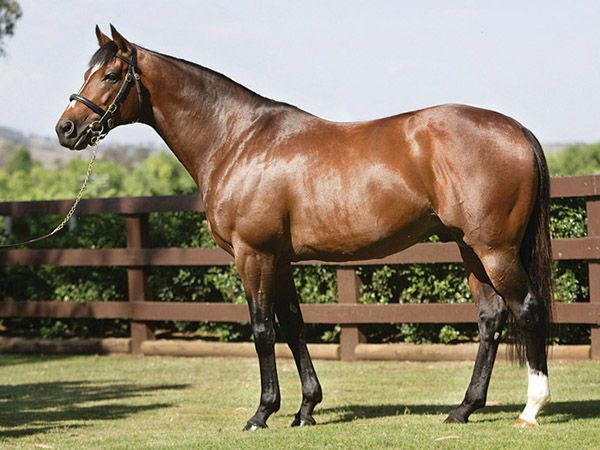 Young sires are equally well represented with mares in foal to exciting Group 1 winners ACLAIM, ALMANZOR, BOBBY’S KITTEN, CARAVAGGIO, FASCINATING ROCK, GALILEO GOLD, JACK HOBBS, MUHAARAR, NEW BAY, NIGHT OF THUNDER, POSTPONED, PRIDE OF DUBAI, PROFITABLE, RIBCHESTER, TERRITORIES, TWILIGHT SON and ZARAK. Opportunities also abound amongst the 775 horses and fillies in/out of training with almost 100 lots boasting a current Timeform rating of 90 or more including the evergreen Group 2 winner AROD, rated 118, the very smart four year old sprinter KYLLANG ROCK, rated 117 and 2016 Group 2 King Edward VII Stakes winner ACROSS THE STARS rated 109. Three year olds with Timeform ratings in excess of 100 include Qatar Racing’s Listed placed LETHAL STEPS, the James Tate trained Listed placed sprinter HADDAF and the progressive Hugo Palmer trained ARBALET, whose third in the Group 3 Solario Stakes behind Derby winner MASAR and Tattersalls Irish 2000 Guineas winner ROMANISED could hardly have worked out better. Other notable three year old colts include the 98 rated Ed Vaughan trained DESERT WIND and FAMILY TREE, a 95p rated son of GALILEO coming from Ballydoyle Stables. 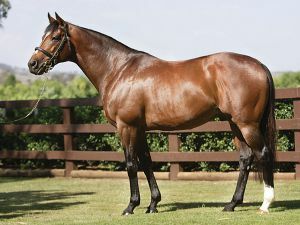 “To have catalogued six beautifully bred yearling fillies by the great GALILEO adds a rare and exciting dimension to this year’s Tattersalls July Sale and also to have a young Group 1 winner in foal to GALILEO further enhances the reputation of the July Sale as Europe’s premier midsummer sale. Year after year the July Sale is the source of Group 1 producers and performers on the global stage and the combination of fillies and mares from outstanding international families and an abundance of progressive horses in training is a formula which annually attracts buyers from all corners of the world."